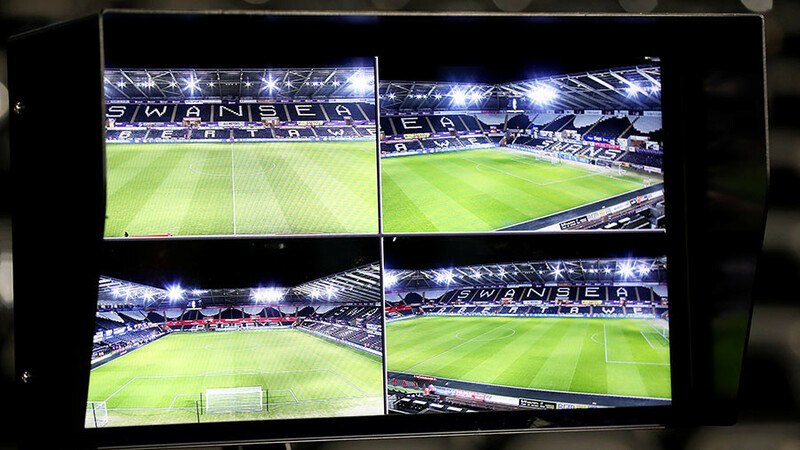 The Video Assistant Referee (VAR) system produced a hilarious gaffe on Tuesday, when an offside goal in a Portuguese Primeira Liga match between Boavista and Aves could not be disallowed due to a giant flag blocking the camera. Boavista were thrashed 3-0 away to bottom side Desportivo Aves, with goals from Paulo Machado, Alexandre Guedes and Vitor Gomes, but one of those goals appeared offside, and VAR was called upon for a replay. However, when referee Fabio Verissimo tried to consult the system, he was denied any view of the goal by a giant flag in the crowd. Without any proof of the goal being offside, and having ruled the goal legal in real time, the official was left with no choice but to let the goal stand. To add insult to injury, the offending flag was being waved by Boavista fans, meaning the design of their beloved club’s badge on the huge banner had led to an illegal goal being allowed against their heroes. It is one of a number of incidents that have called the system into question since its introduction at the 2017 Confederations Cup in Russia last summer. VAR was responsible for some tricky situations at the tournament, including one in the final, when an apparently deliberate elbow from Chilean Gonzalo Jara on Germany’s Timo Werner was only punished by a yellow card on review. 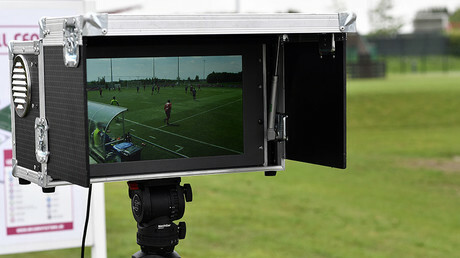 It has since been used in top European football leagues including Italy’s Serie A and Germany’s Bundesliga. FIFA confirmed that VAR will be used in the 12 host venues at this year’s Russia 2018 World Cup, which will be held in the country from June 14 to July 15. However, some of football’s biggest names have publicly criticized the system. They include Tottenham manager Mauricio Pochettino, who said on Wednesday that he was worried VAR may “kill” the game.